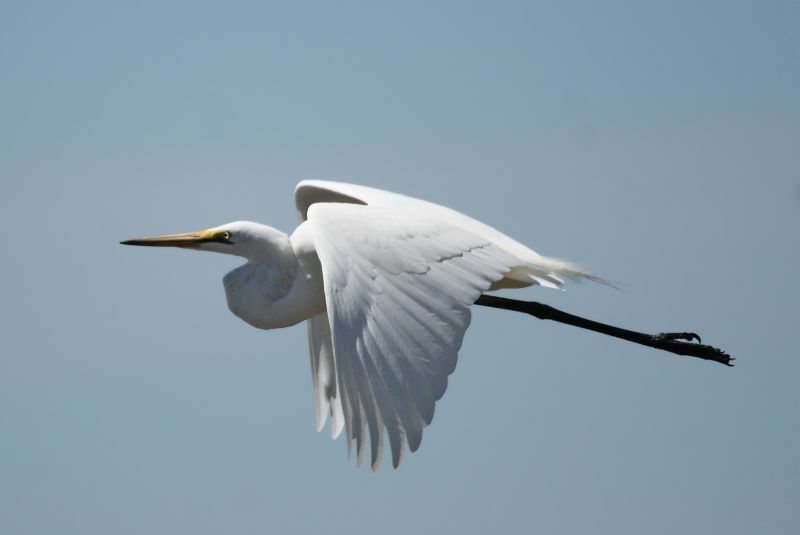 The largest of the egrets at 83-103 cm in length, this bird occurs from western Europe down to Australia and New Zealand. 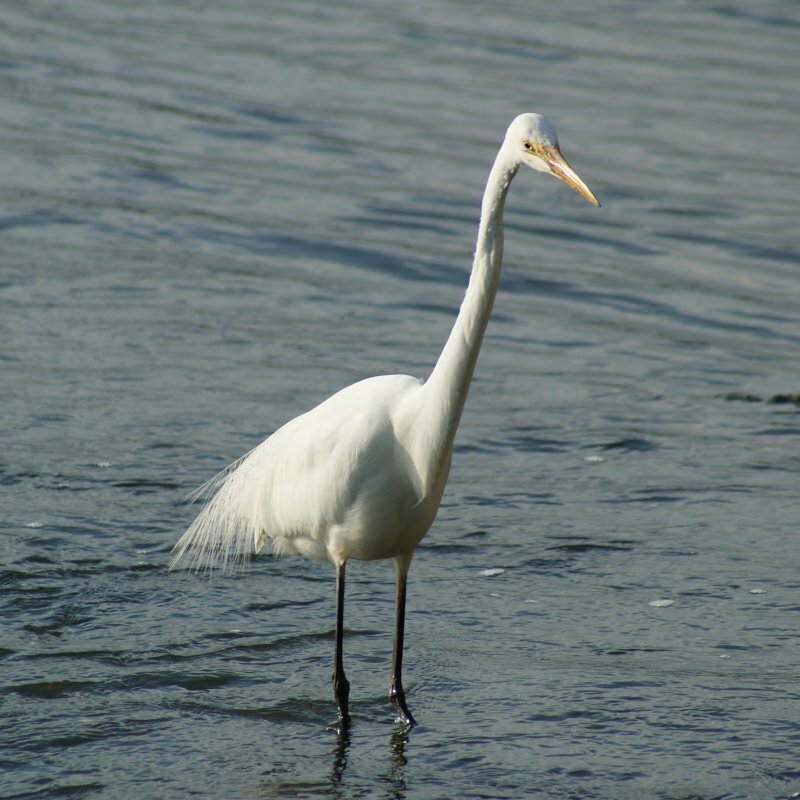 The taxonomic status of this bird is often in question: several authorities regard it as being a heron (thus Ardea alba), some an egret (Egretta alba) and some in a genus of its own (Casmerodius albus). Added to this, some call it the Great Egret, others the Great White Egret and some split it into Eastern and Western species, too. 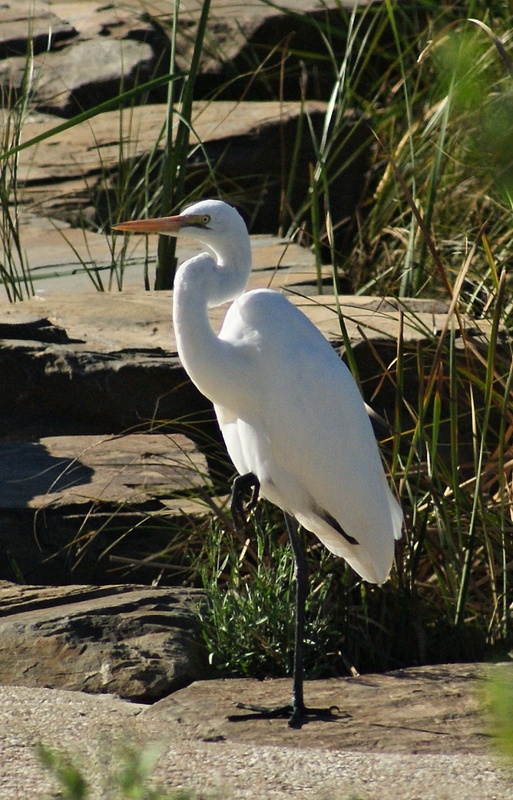 As with other egrets and herons, they feed mainly on fish, amphiians, reptiles and other small creatures, often standing very still and pouncing on their prey. Despite being larger than the related Intermediate Egret, they can sometimes be difficult to tell apart as they can change their posture and pull their necks in - the Intermediate Egret page has a section on differentiating them. 1: Greenfields Wetlands, Mawson West, SA, 24/03/2012. 2: Greenfields Wetlands, Mawson West, SA, 13/10/2012. 3: Bicentennial Park, NSW, 20/09/2010.